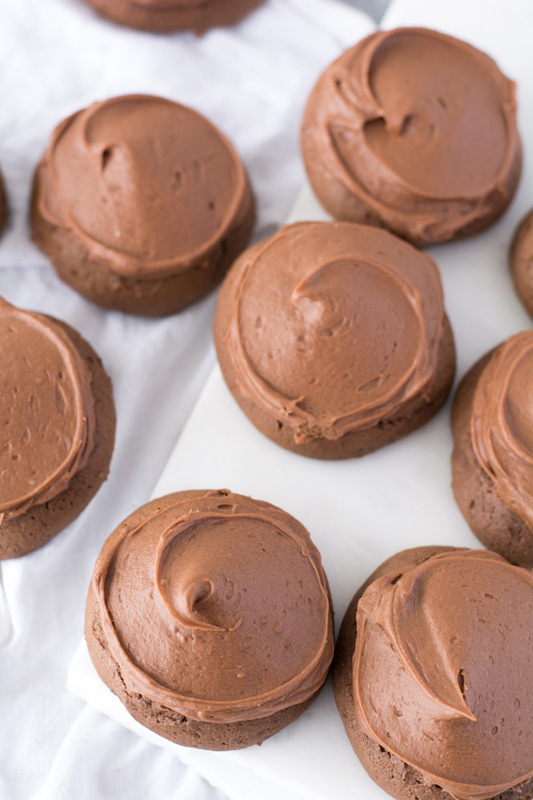 Old fashioned Chocolate Drop Cookies are a soft cake-like cookie with a swirl of chocolate cream cheese icing. A generational cookie that bakes up perfectly every time. Can you handle one more cookie post? It’s really hard to mess these cookies up but I’d like to share a few helpful tips. Read through the directions before beginning to mix. Follow the step-by-step instructions. 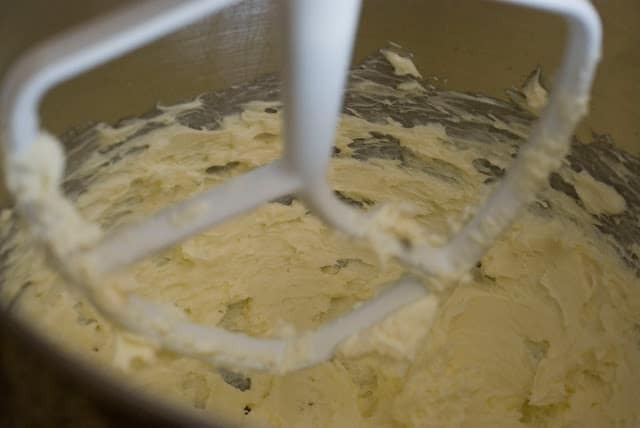 Use real butter that has been softened to where a fingerprint leaves an indentation. Butter should not be room temp that’s too soft. Do not over bake. Check the cookies after 10 minutes of baking. Press your fingertip into the top of the cookie, if it springs back, remove cookies from the oven. Cool cookies completely before icing them. Soften butter and cream cheese for the icing. 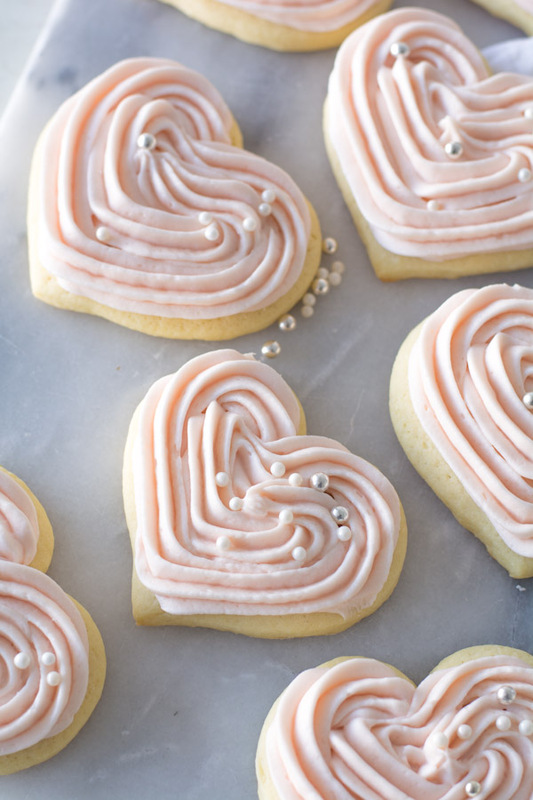 If freezing the cookies, place on a baking sheet in a single layer. Place in freezer. When completely frozen transfer to a freezer container. Freeze for up to 2 weeks. 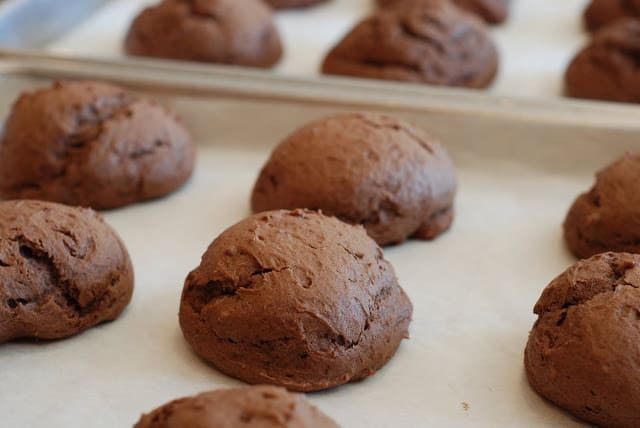 Gather ingredients for Chocolate Drop Cookies. Soften butter. Preheat oven to 400℉. Sift flour, salt, and baking soda together. Set aside. Line baking sheets with parchment or very lightly greased baking sheets. 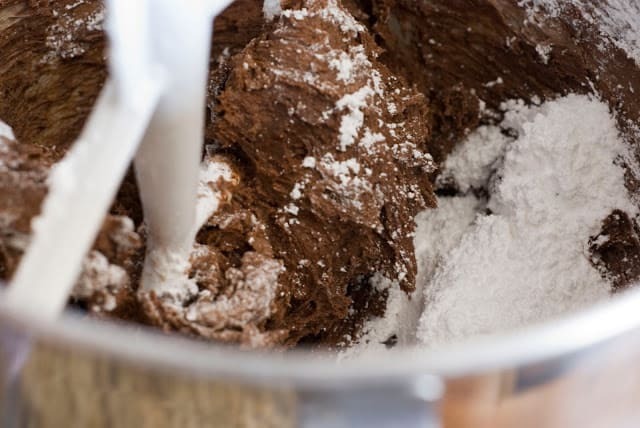 In the bowl of an electric mixer, beat butter, sugar, and cocoa until smooth. Mix in eggs one at a time, mixing after each addition. Mix in vanilla. Stir in sour cream and milk. Mix until smooth. 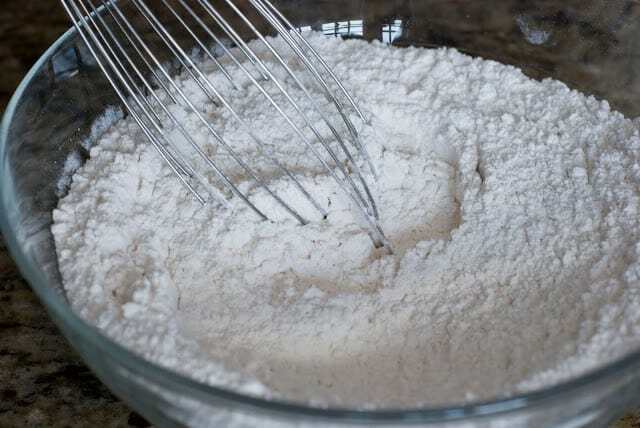 Add flour one cup at a time and beat until smooth after each addition. The batter will look like a very thick cake batter. 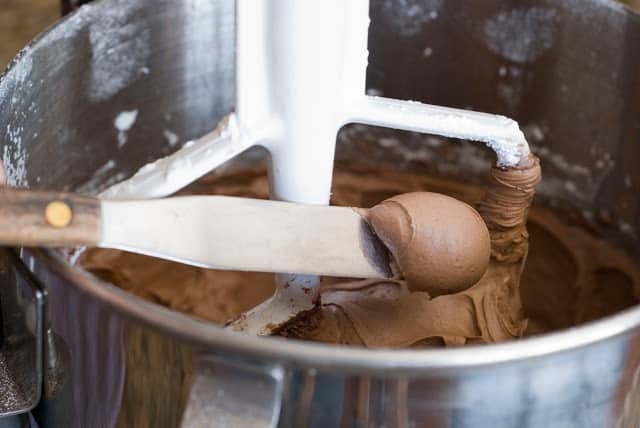 Measure dough using an ice cream scoop or a heaping tablespoon and drop onto prepared baking sheet. Leaving 2 inches of space between each cookie. Bake in preheated oven for 10-12 minutes or until the top springs back when pressed. 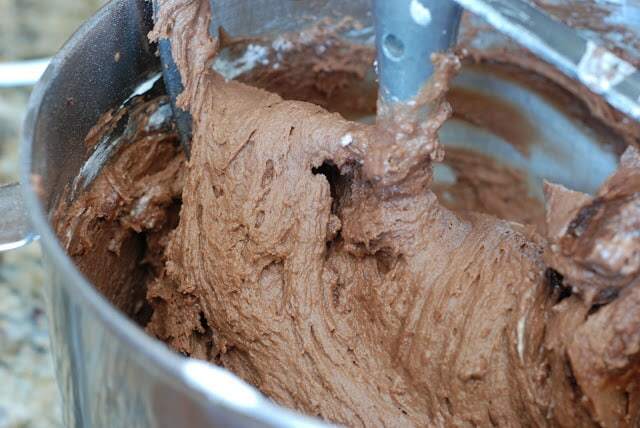 Gather ingredients for chocolate icing. Bring butter and cream cheese to room temperature. 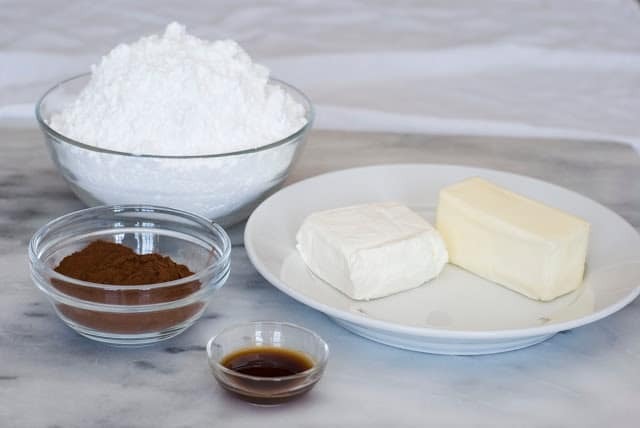 In the bowl of an electric mixer, beat butter, cream cheese until smooth. 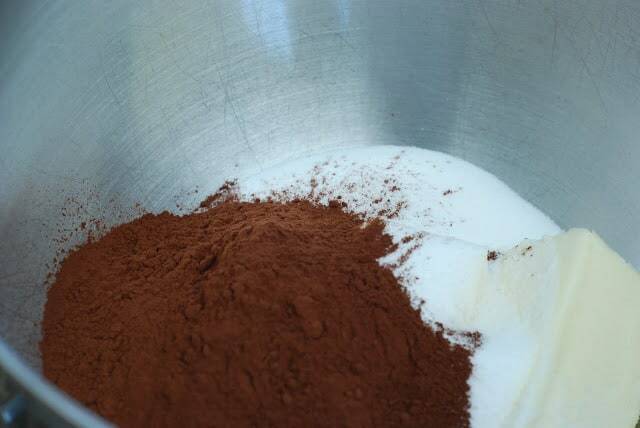 Mix in cocoa and vanilla until smooth. 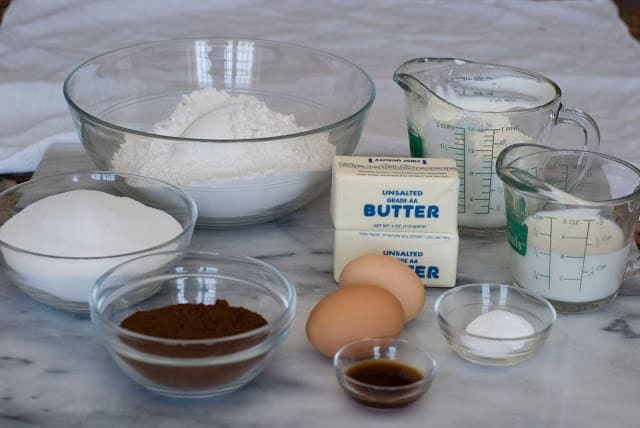 Slowly add powdered sugar 1 cup at a time mixing after each addition. 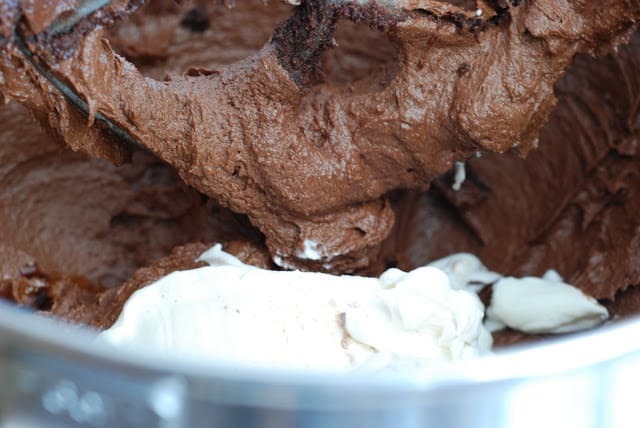 Icing should be a very smooth spreading consistency. 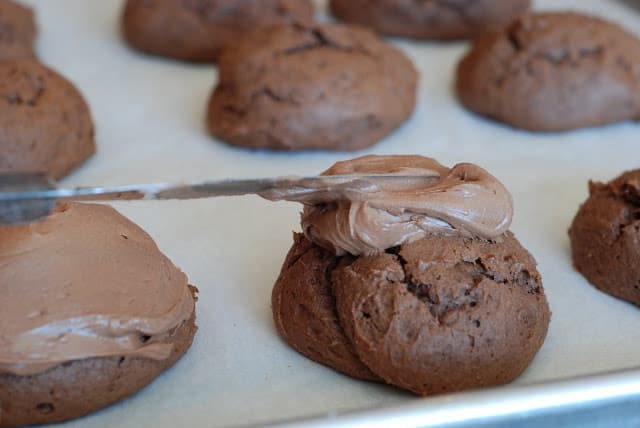 Spread about a tablespoon of chocolate icing on top of each cookie. 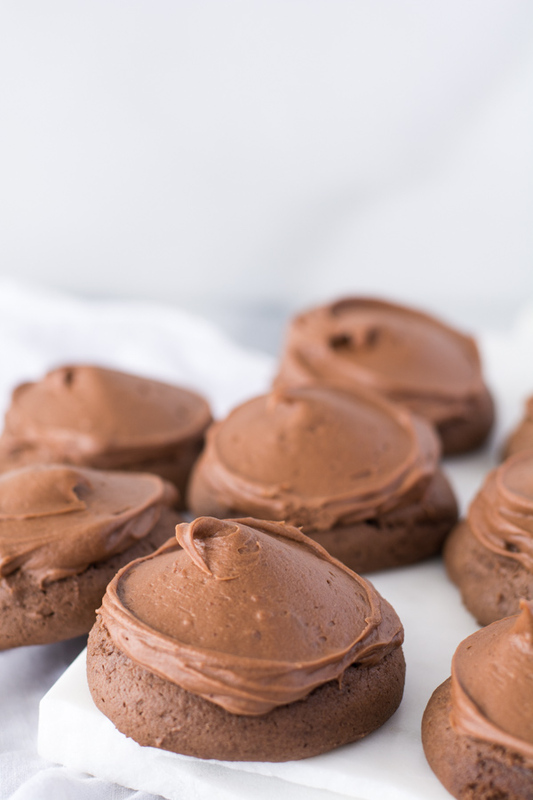 Old fashioned Chocolate Drop Cookies are a soft cake-like cookie with a swirl of chocolate cream cheese icing. Preheat oven to 400℉. Sift together flour, baking soda, and salt. Set aside. 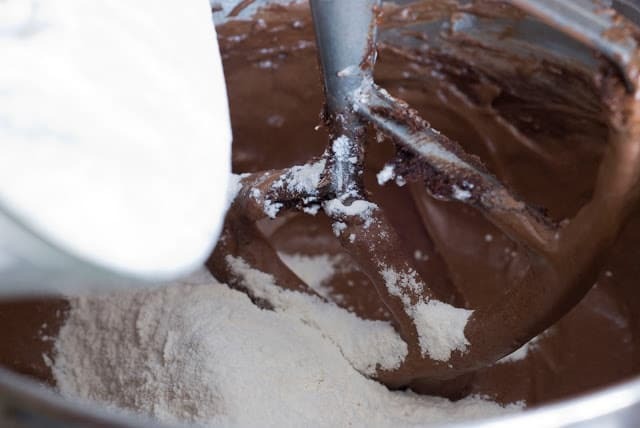 In a large mixing bowl, cream the butter, sugar, and cocoa. Add eggs and vanilla. Blend in sour cream and milk. 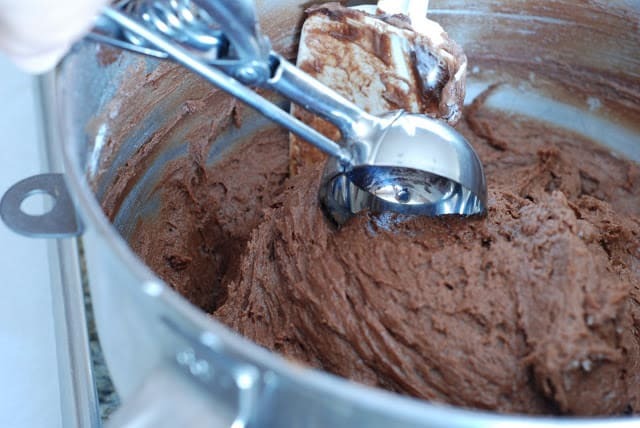 Mix until creamy scraping down the sides and bottom of the bowl periodically. Add sifted flour mixture. Mix well. 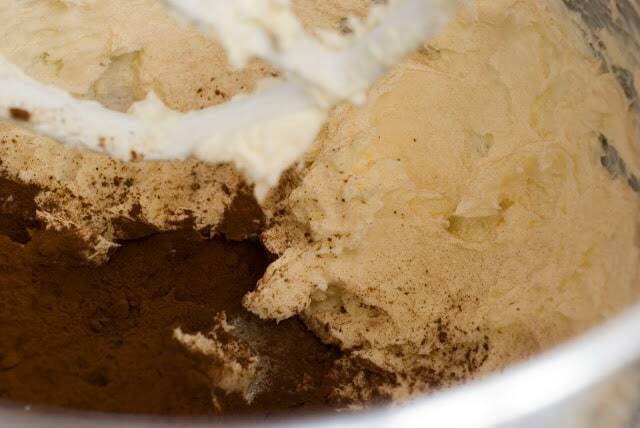 Drop cookie dough onto a parchment lined cookie sheet with an ice cream scoop (approximately 2 tablespoons of dough). Bake in a preheated 400 degree oven for 10-12 minutes or until the dough springs back after lightly touching. Let cool completely before icing. 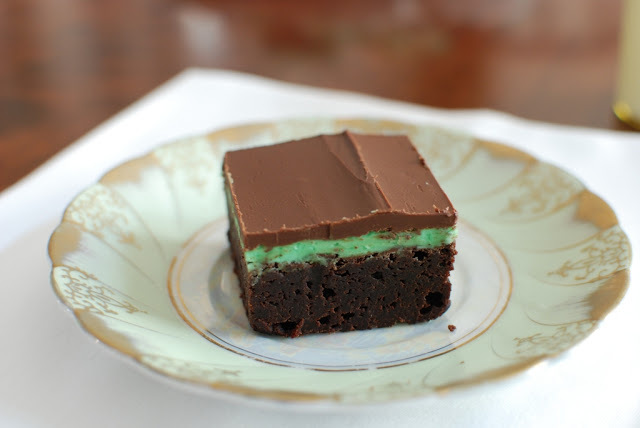 Note: This recipe was originally published in 2010. It is being republished to add a printable recipe card, nutritional information, and updated photos. 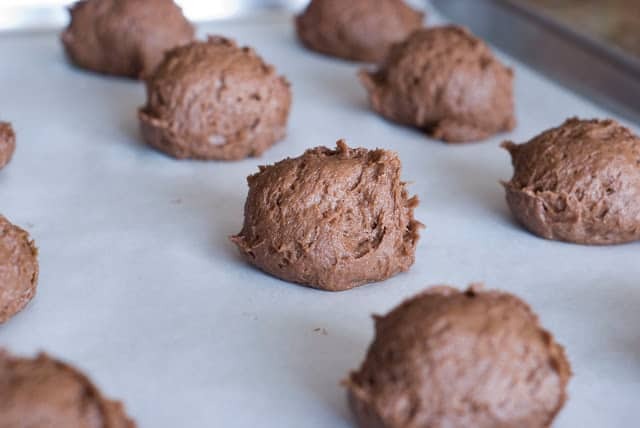 When I was growing up, I had a great Aunt that was famous for her chocolate drop cookies. She would make them by the dozens. She would put them on paper plates which she put into plastic bags with a twist tie then freeze them. Whenever we would go to Henefer to visit my grandparents, we would run down the street to see if Aunt Erma had any baby sheep that needed feeding. We would always leave with a plate full of her chocolate cookies. They were the best. I tried to recreate her recipe for years with no luck. I have had to make some changes to the original recipe to get them to turn out as moist as Aunt Erma’s. I think these are pretty close. 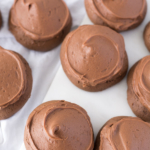 These Chocolate Drop Cookies were served at a luncheon after her funeral services. Such sweet memories. Thank you, Aunt Erma, for creating something so wonderful. 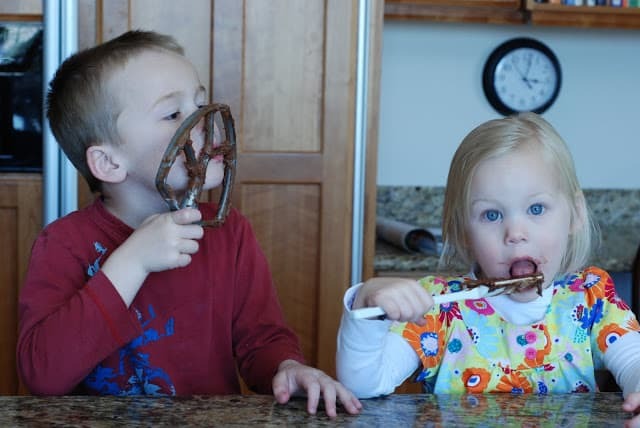 We will enjoy your cookies for generations to come. What a great legacy you have left behind. Wow. My mother used to make these for us back inbthe 1980’s…my mother is an excelekt cook/baker and she learned these from her mother. Its an old fashioned cookie, polular in the mIdwest from the EUROPEAN immigrants. Thank you for this receipe, it will make my Day! Hi Seth, My ancestors migrated to the U.S. from Europe. Mainly Great Britain. I love all of their “tried and true” recipes. This one is a keeper. I hope you love it! Do the cookies need to be refrigerated if iced and made few days before eating? They do not. They do, however, freeze very well for about 2-3 weeks. Hi there and thank you for sharing. What other cocoa cab you recommend that I don't have to buy in such large quantity ? Any cocoa you can find in your local grocery store will work just great. Your recipe makes me VERY happy. I've been in fruitless search of the perfect chocolate drop cookie Of My Youth (as my mother would say). Once upon a time, back in the 1950s in the middle West, my dear mom baked made her yearly (?) batch, lifted the cookies to a rack while still warm, put a bowl of whipped cream to one side, and went somewhere for a few minutes. (Five children will do that to you.) Not long thereafter she found me in the kitchen with whipped cream up to my eyebrows, and made me eat the whole thing. Such cruelty! 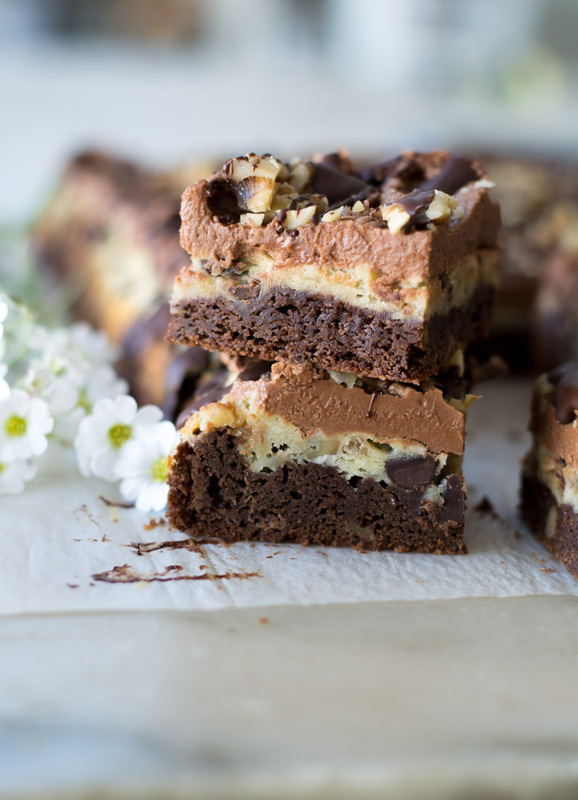 Each year I've tried a different recipe, hoping to recreate hers– which came from her own dear mother. What a fun story. Thank you for sharing. I hope this recipe is close to your mother's. Janet one quick question…can I substitute plain curd/yogurt with sour cream as this is not available in this part of the world….Aunt Erma rocks!! Yes you can substitute. I would use whole milk yogurt not non-fat. 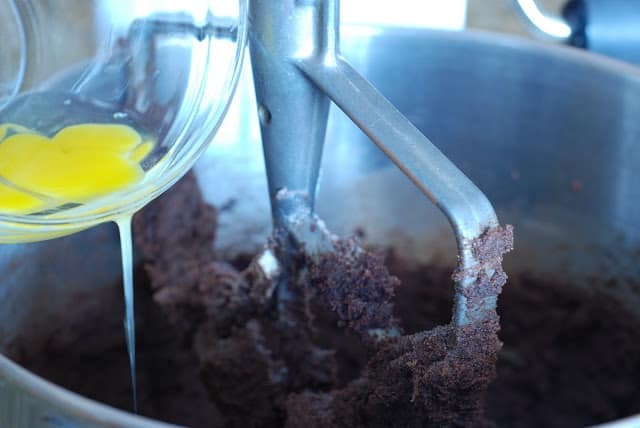 The fat helps create a moist crumb. This should work just great. Good luck. Let me know how your cookies turn out. Yes, Aunt Erma does rock! You should get about 3 dozen…at least the size I make them. How many cookies does this make? (Planning for a cookie exchange). I find myself using unsalted butter more and more these days for everything. I feel like I'm eating french butter. It's just sweeter and fresher. No, it really doesn't matter. Just use what you have on hand. Janet, is it important whether we use salted or unsalted butter? You haven't specified, but I notice that your photo shows unsalted butter.